Scandinavian Journal of Work, Environment & Health - Kinetics of lead in blood after the end of occupational exposure. The sum of two exponential functions was fitted to the decay of blood lead (PbB) level after the end of lead exposure. For two subjects who had not formerly been occupationally exposed to lead but who had been exposed to a single short heavy dose, the fast compartment (probably soft tissues) had a biological half-time of 27 and 44 d, respectively.  For 20 lead workers after the end of occupational exposure, the corresponding median was 29 (range 7-63) d. For 21 ex-lead workers, the median biological half-time of the slow compartment was 5.6 (range 2.3-27) years. There was significant interindividual variation in both the fast and the slow half-time. This finding probably means a considerable variation in risk at a certain exposure level. In the lead workers, the PbB fraction corresponding to the slow compartment had a median as high as 1.8 (range 0.7-2.7) mumol/l, which constituted more than half of the total PbB. This fraction was associated with exposure history, and with the lead level in the skeleton, the latter determined in vivo by an X-ray fluorescence method. The data thus indicate a rather rapid turnover of the skeletal lead pool, a phenomenon which may affect the PbB level considerably.